The floor sanding was started yesterday. When we visited today they were finishing off sanding and removing dirt. They were also in the procress of trying to move some items into the back laundry area (since it wouldn’t get sanded and refinished). Patrick and I were worried our large range would not fit through the relatively narrow doors into the kitchen. They struggled with it for a short while but got it through (to our joy). Interestingly something we never considered was the corner kitchen cabinet. It just would not fit through the door! Finally Patrick’s suggestion to take it through the back door proved to be the solution – after moving all the cabinets that had been blocking the door, and taking the door off the hinges! It was all quite a challenge, but we’re glad they got it in. The door from the laundry to the kitchen is wider and should be no problem – we’re just glad we got it into the area finally! 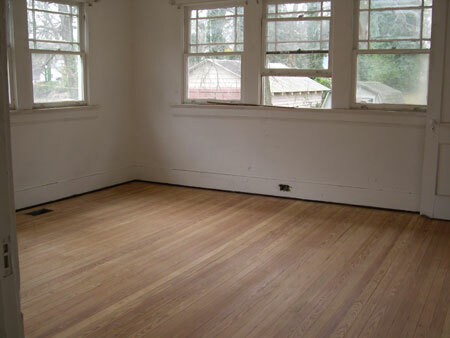 Beautifully sanded down back bedroom. Look how nice it looks! Also the nice looking middle bedroom. 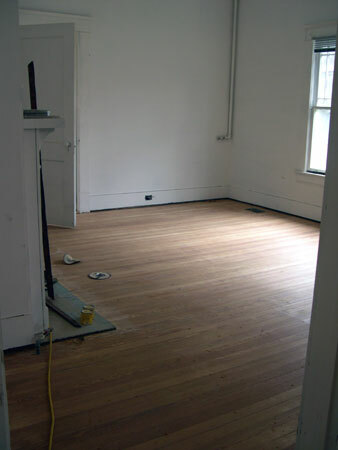 The sanding makes the rooms feel so much different for some reason. 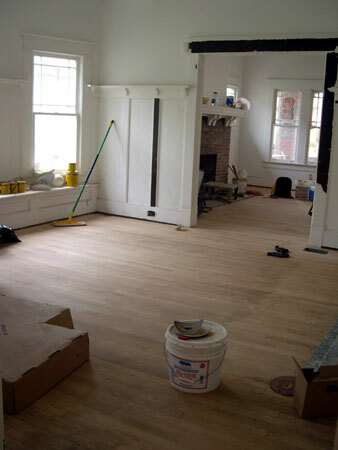 The dining room – the floors almost look new. 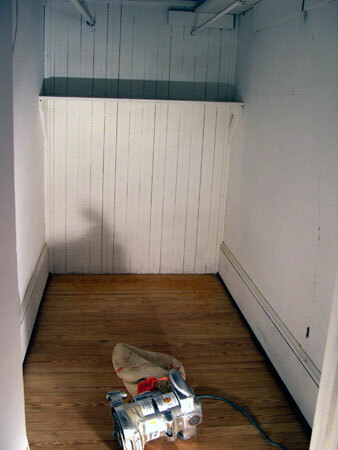 Even the hidden away hallway get’s a make-over. 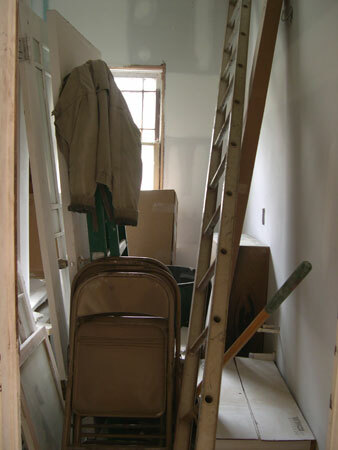 Since the bathroom was one of the few places without wooden floors it is serving as a storage facility.